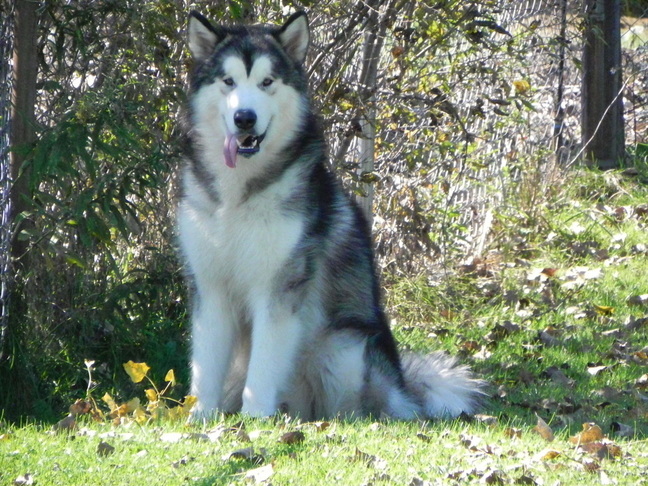 Coby is Rhya's much-adored son, born in late spring of 2010- he is a fun, goofy boy! Confident and outgoing, he has not met a dog or person that he doesn't consider a friend. Gentle, self-sufficient, with a steady demeanor, he is as sweet as could be. If cooped up too long though, he becomes a bit of a live wire- keeping him still is sort of like holding onto a fish! Out in public, he has a LOT to say! He has lovely big feet and bone, and a broad muzzle. Coby does love water, and it can be very difficult to keep him clean or dry- he likes nothing more than getting dirty, and if water is involved, his day is complete! He is doing well in agility and obedience work, earning his AKC Rally Novice title early in 2012, and his AKC Championship as well as Novice agility (preferred) titles in 2014 & 2015, followed by his Open level titles in 2016. He is currently working on completing his AKC Master Preferred Agility titles, as well as training for traditional Obedience competition. He also loves to swim and to retrieve, especially his dumbbell!